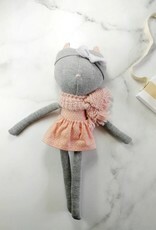 Adorable cat doll. She is wearing a pretty dress with little flowers. Doll is flirtatious. This teddy loves to jump and dance like a ballerina with its white tutu. 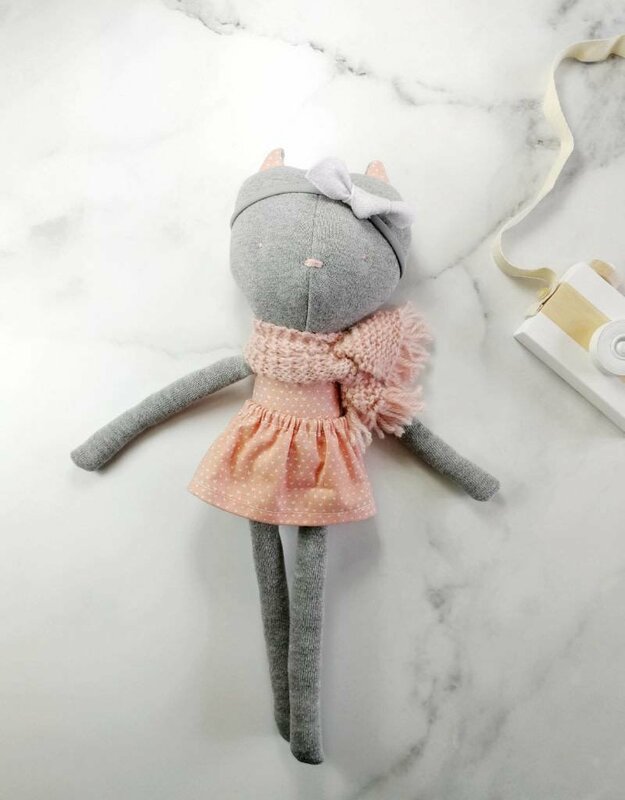 This stuffed toy is hand made and is a unique model.